This recipe has been the bane of my work life for the past three weeks. I thought I perfected it back in March - just as we were kicking off the kitchen renovation - but then I made it a few weeks ago and decided to tweak it even more and then I got a little carried away so now the recipe is completely unrecognizable from the one I originally developed. 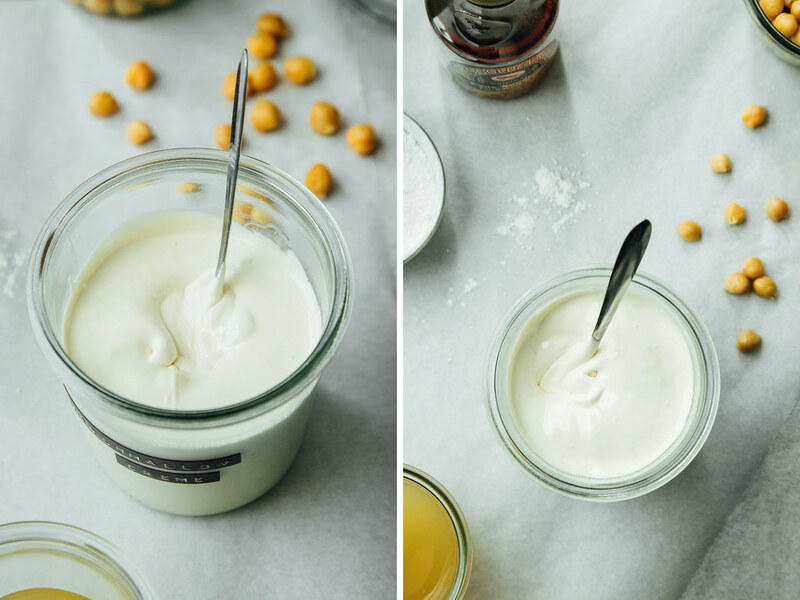 Anyway, let's talk about that strange word in the title: aquafaba. Have you heard of it? If so, awesome. If not, go conduct a little Google search and familiarize yourself with the liquid that we're going to be using to make next-level vegan marshmallow creme. Marshmallow creme that's so close to the real thing that one spoonful of it zapped me back to the 90s. All of a sudden I was sitting cross-legged on the living room floor of my mom's house in middle-of-nowhere Indiana - in a pair of hand-me-down cutoff jean shorts from one of my brothers - eating a peanut butter + marshmallow fluff sandwich off a paper plate (because when you have six kids ain't nobody got time to wash dishes). Hootie and the Blowfish was playing and - now that I think about it - this was just a few days before my step-dad accidentally ran over our cat. I think its name was Peaches* and, yes, I was devastated. What I'm trying to say is this stuff is good. So good that it conjured up a seemingly unimportant memory from my semi-traumatic (so. many. dead. cats.) childhood. But let's get down to business because there are a couple things that need to be addressed. Like reducing the aquafaba to a concentrated state. I know it seems like an unnecessary step but I promise it's not. Because not only does it make for a liquid that whips quicker (less than one minute with my hand mixer, yo!) but the concentrate also makes for a super sturdy "foam" that doesn't deflate nearly as fast as foam that's made with its watered-down counterpart. And yes, I know golden syrup (AKA treacle) is difficult to find and I'm sorry about that. I tried to make this recipe with other syrups but didn't like the way the marshmallow creme turned out; corn syrup lacked depth and don't even get me started on the inedible disaster that was made with brown rice syrup. The good news is that it's pretty easy to make golden syrup from scratch. However, in order for it to work in this recipe you have to neutralize the acid by stirring in 1/4 teaspoon of baking soda at the very end (once you've offed the head). 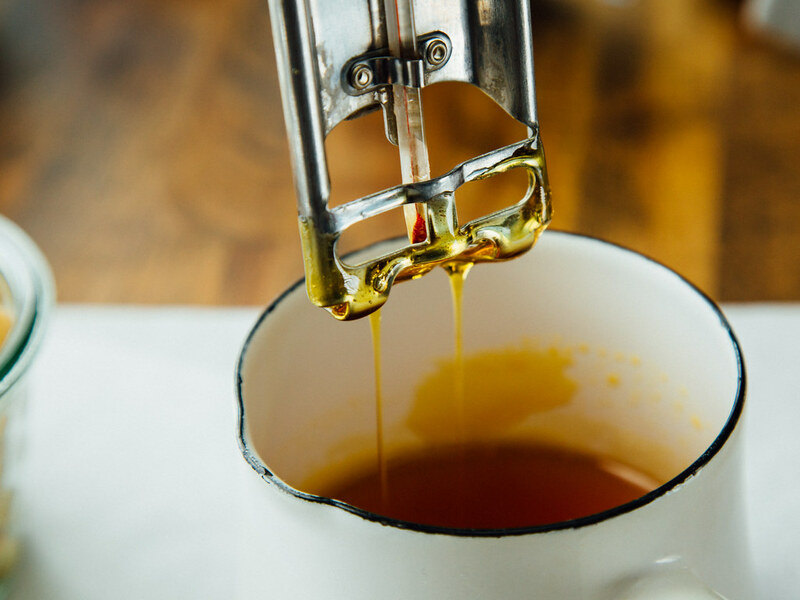 Store-bought golden syrup is just barely acidic so if you go the homemade route, don't forget the baking soda. Seriously. DO NOT FORGET THE BAKING SODA. - You're going to reduce the aquafaba to 1/4 cup and let it cool. - Then you're going to heat the golden syrup and let it cool. 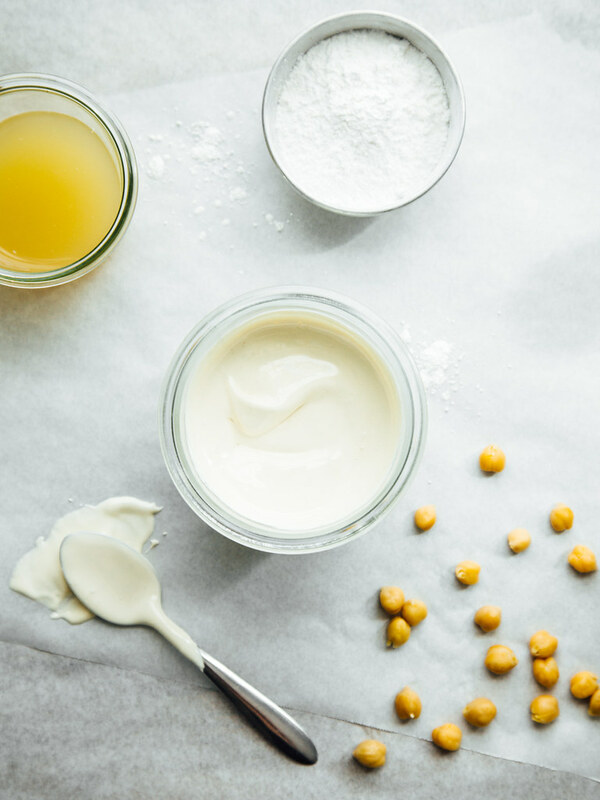 - While the syrup is cooling, you're going to beat the aquafaba for 1-2 minutes then sift in the dry ingredients and beat again. - Then you're going to slowly drizzle in the cooled syrup and beat for 1-2 minutes more. 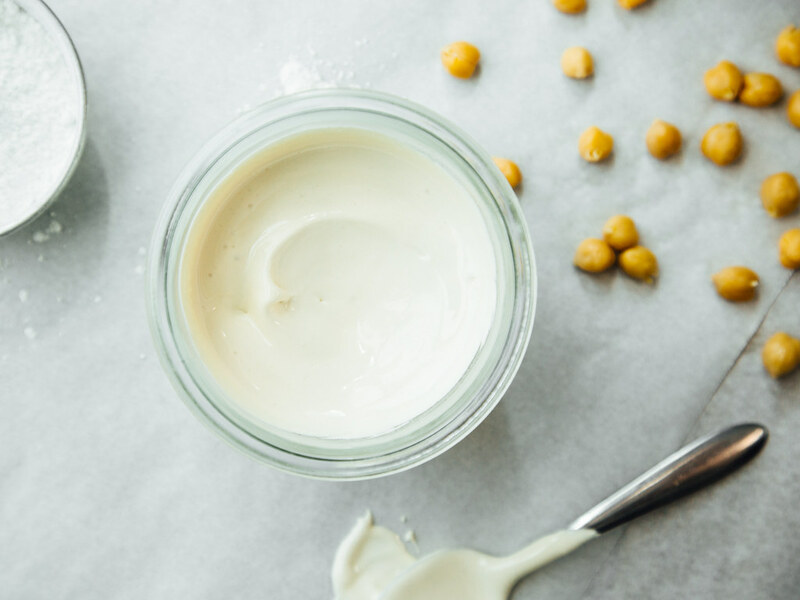 - And then you're going to take a spoonful of marshmallow creme straight to your face because 1) it's the International Year of Pulses and you've all taken the Pulse Pledge and have committed to eating pulses (beans, dry peas, lentils, and chickpeas) once a week (correct?) 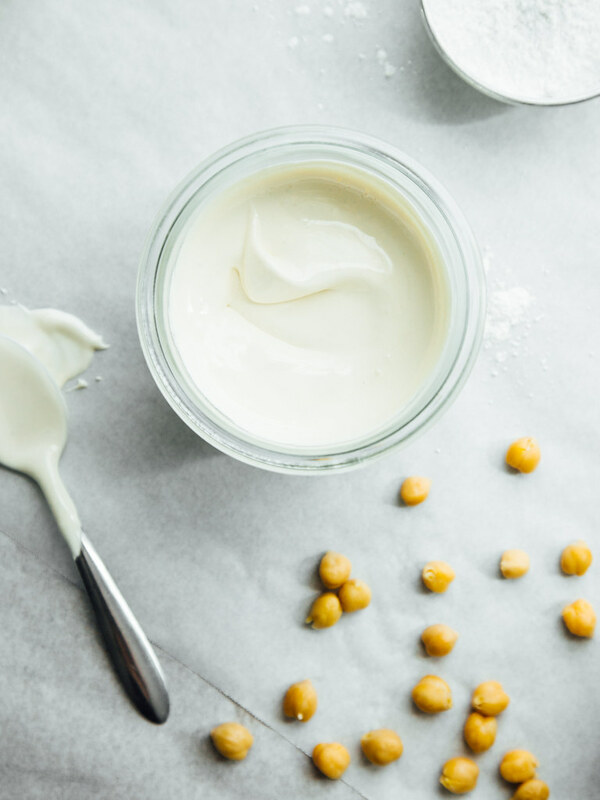 and 2) this marshmallow creme totally counts as your weekly dose of pulses. Right? Right. And because I don't like the idea of chickpeas being left behind, you should go make this spicy peanut stew with butternut squash + chickpeas. Just because. *Update: My ma just informed me the cat's name was Tippy. TIPPY! Notes: I've tried this with every liquid sweetener I could find and golden syrup most certainly reigns supreme. If you can't find golden syrup at your local grocer, you can get it through the link above. Or you can make it from scratch (but make sure you skim the notes in the post body about making it at home). 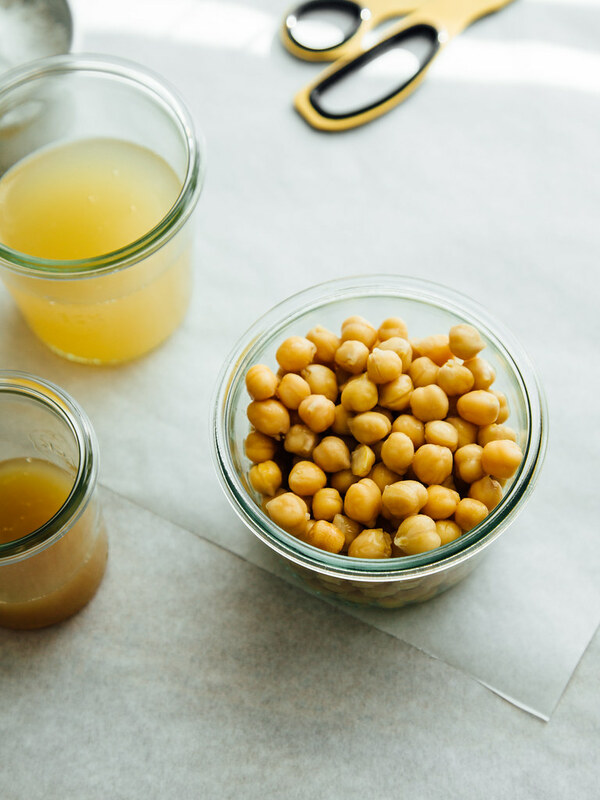 You can use brine from other beans to make this recipe but I'd go with ones that have an equal or higher protein content than garbanzo beans (it's the protein that gives the brine an egg white consistency when whipped) - white beans or something similar. If you don't have potato starch, tapioca or corn starch will work the same. 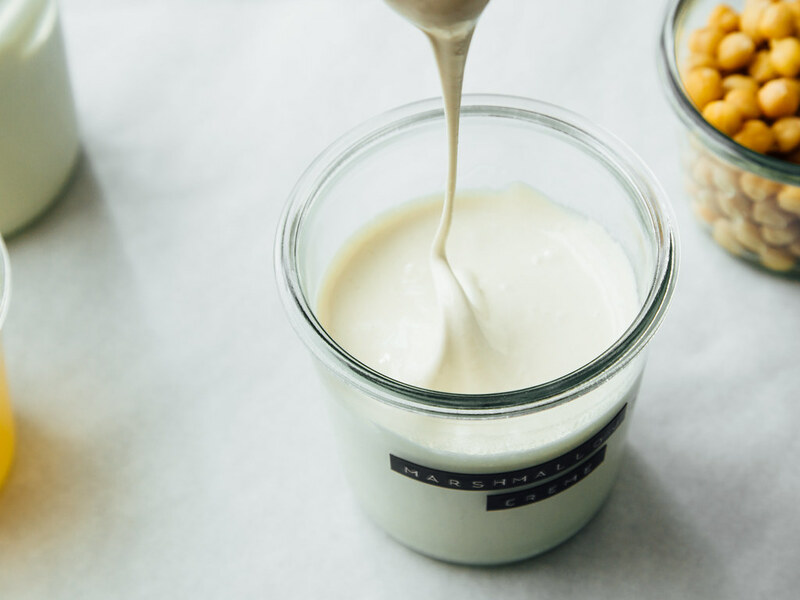 For a lighter creme that isn't nearly as sticky, reduce the golden syrup to 1/4 cup (80g). Ways to use it: on top of sweet potato waffles (or slathered on a slice of overnight pumpkin spice cinnamon roll loaf), in place of frosting on a chocolate cake (I've got a single layer chocolate number - smothered in this stuff - coming your way in the not-so-distant future), swirled into ice cream, on a salted hot fudge sundae, ON A PEANUT BUTTER SANDWICH, etc. Strain the liquid (I had just under one cup/165g) from a can of chickpeas to a small saucepan set over medium-low heat. Gently simmer until it's been reduced to 1/4 cup (50-55g) of liquid. 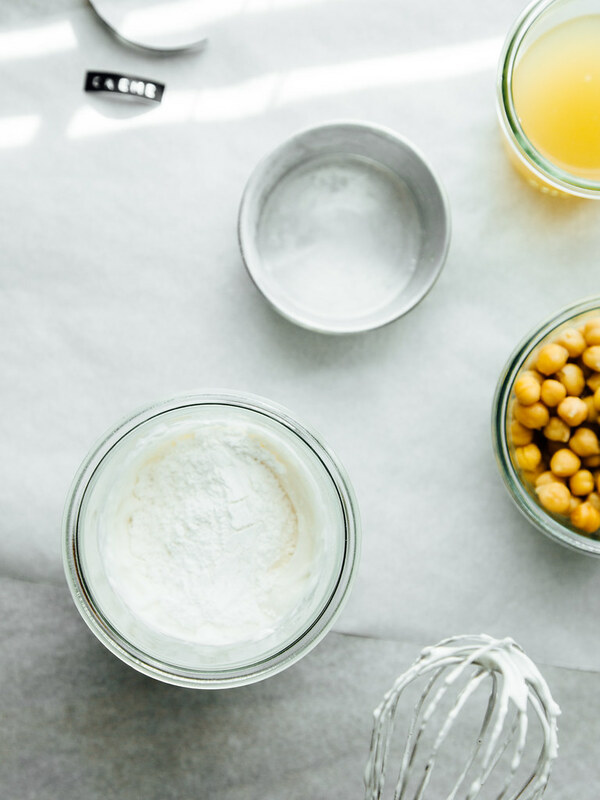 This should take 15-20 minutes and it means you're going to have to stop and check it every few minutes, but that's ok because reducing the aquafaba is key (KEEEEEY) to getting this recipe to turn out correctly. 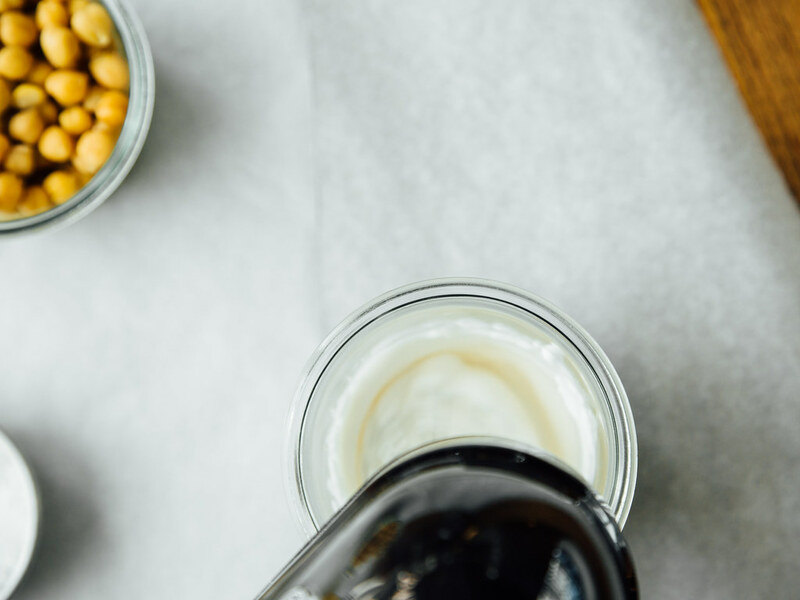 Once the aquafaba has been reduced, transfer it to a small jar and let cool to room temperature. This will take about an hour so go bang some bread or clean your house or sit on the couch and eat chocolate (huge proponent of the latter) (but don't tell Thom I sometimes eat chocolate on our white couch). Once the aquafaba reaches room temperature, add the golden syrup to a mini (like, this mini) saucepan set over medium heat. Stick a candy thermometer on the side of the pan and heat until the thermometer reads 225˚F then immediately remove from heat. Let cool for 15-20 minutes. 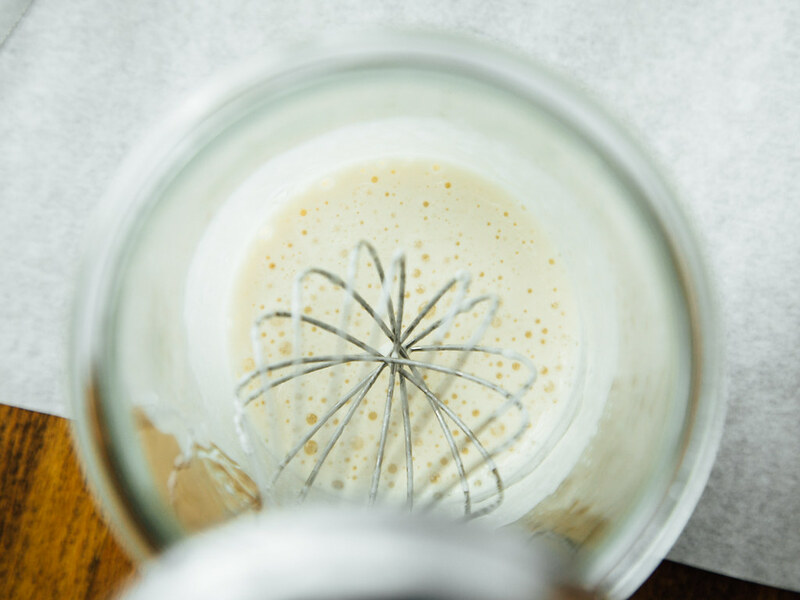 While the golden syrup is cooling, beat the aquafaba using a hand mixer (or immersion blender) fitted with the whisk attachment - on high speed - until light and fluffy; 1-2 minutes. This is your "meringue". Sift in the powdered sugar, potato starch, cream of tartar, and sea salt and beat on high speed until combined. Slowly drizzle in the golden syrup and, once you've scraped in every last drop, add the vanilla extract and beat for 1-2 minutes, or until the mixture is well combined. Take a spoonful to your face (really, it's the right thing to do) then put a lid on the jar and store it in the refrigerator for at least 24 hours. After 24 hours the creme will reach the consistency of traditional marshmallow creme. Will keep refrigerated for up to 10 days. TEN DAYS, YOU GUYS. Peanut butter marshmallow creme - Stir 1/4 cup of creamy peanut butter into the golden syrup after it finishes simmering. Chocolate marshmallow creme - Sift in 2-4 tablespoons of cacao powder when you sift in the other ingredients. Strawberry marshmallow creme - Add 1 tablespoon of strawberry concentrate after you mix in the golden syrup. Omit the vanilla extract. Lemon marshmallow creme - Replace the vanilla extract with lemon oil (and toss in some finely grated lemon zest). 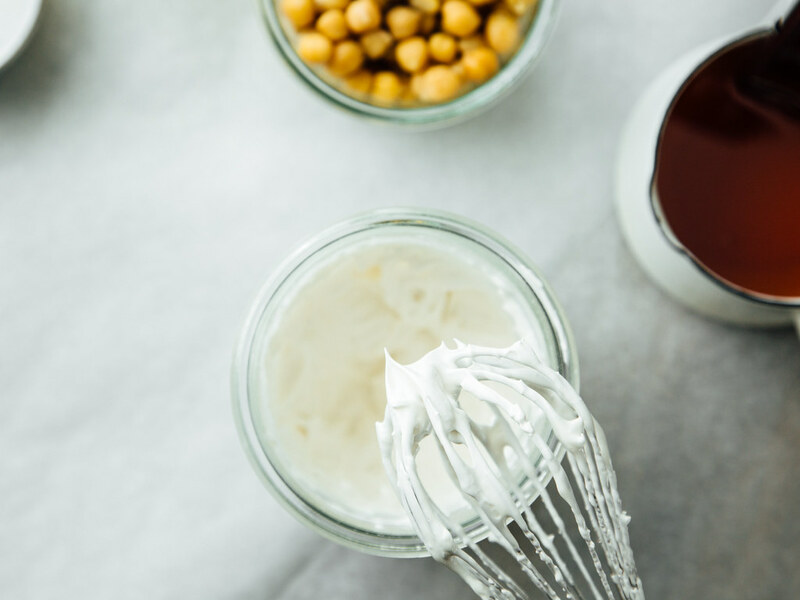 Peppermint marshmallow creme - Replace the vanilla extract with 1/2 teaspoon of peppermint extract.